There are many strong environmental and social justice arguments why the capitalist system needs to be replaced. But is it possible in Australia, which is one of the wealthiest countries in the world? Long time socialist Peter Boyle argues the case for revolution. Cheap meal available from 6pm. 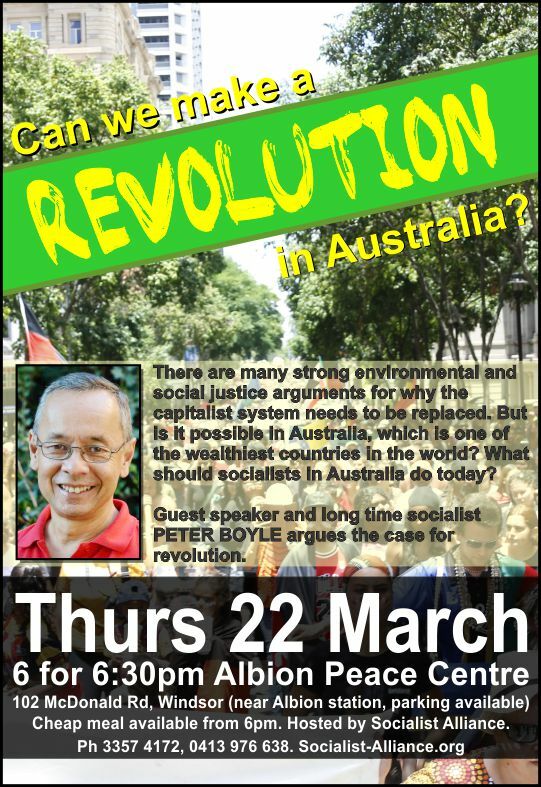 Organised by Socialist Alliance.